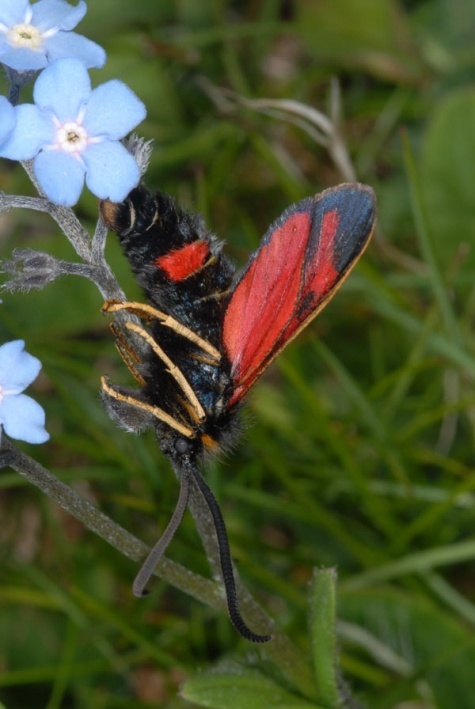 Zygaena anthyllidis inhabits rocky to stony mountain slopes from 1800m up to 2800m above sea level. 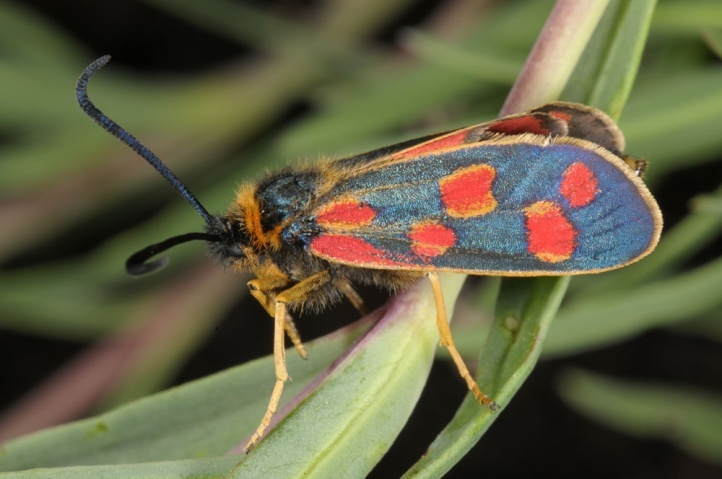 The moths fly especially in July. 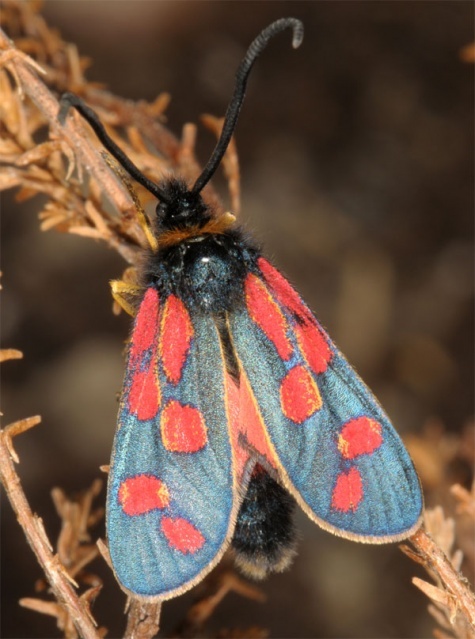 At the highest altitudes, in the French part of the distribution or in cool years moths are still observed in August. 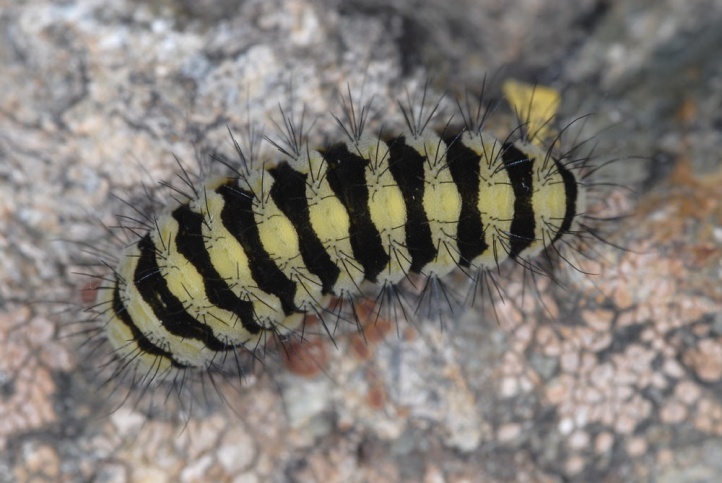 The larval habitats are often very limited and a few meters away nothing more is to be seen. 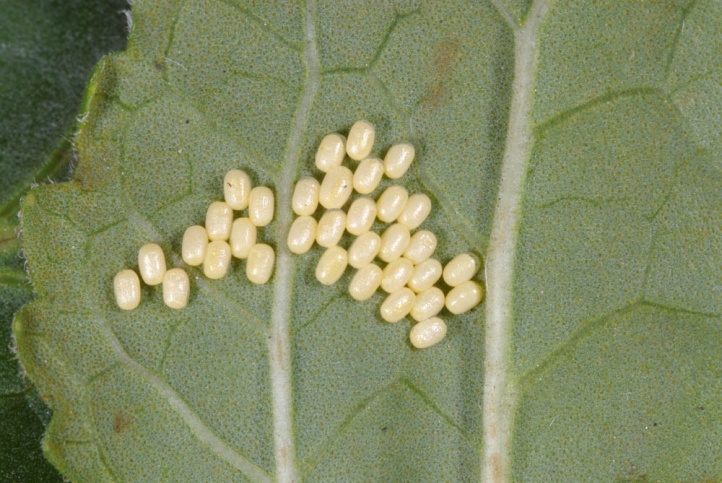 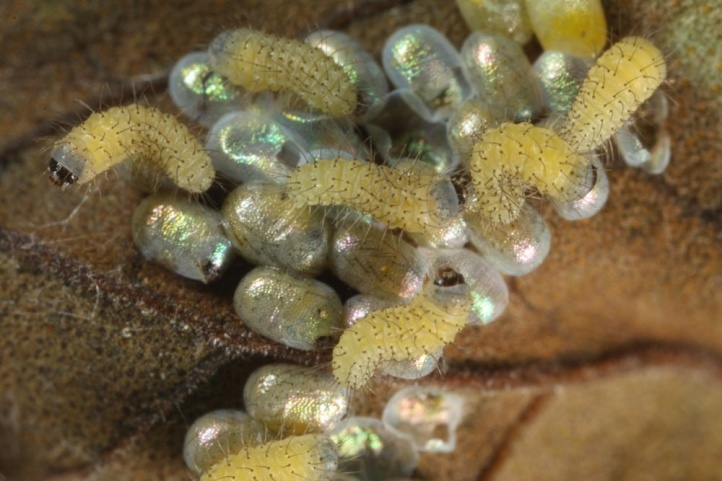 The eggs are deposited in levels on leaves, less often probably also on stones. 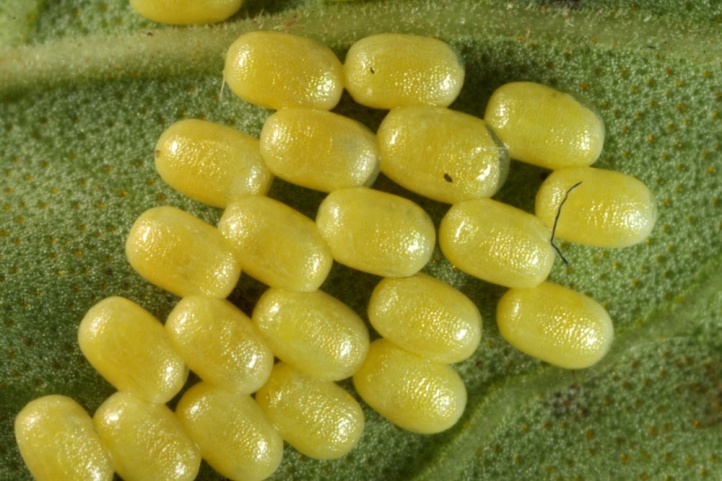 I watched the oviposition in early July 2010 in the Spanish western Pyrenees on the underside of leaves of a common Salvia species. 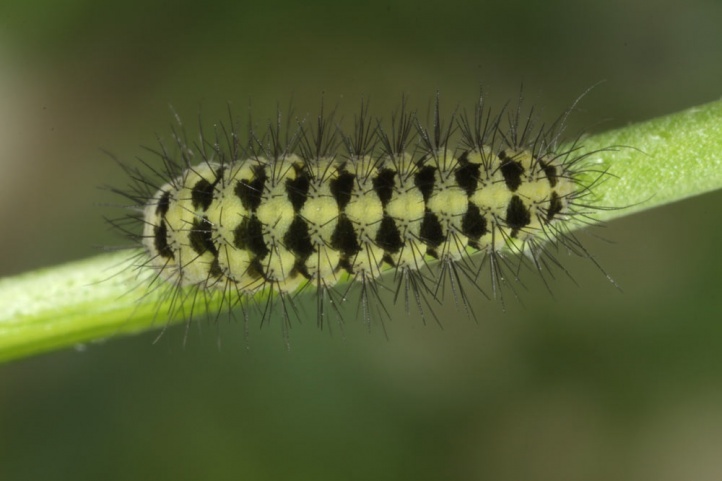 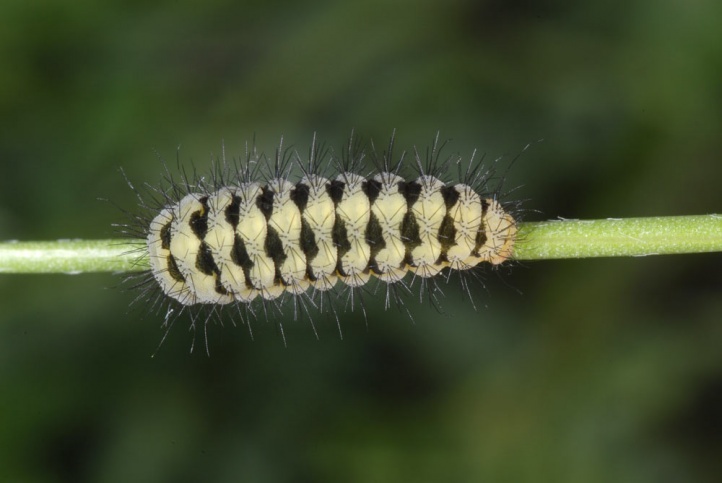 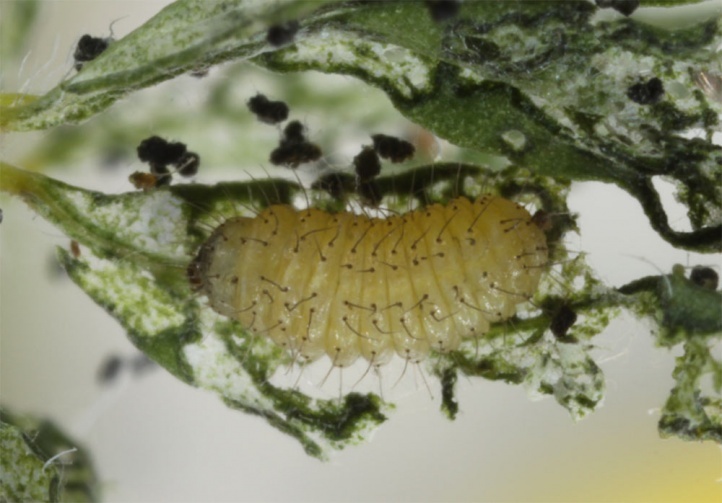 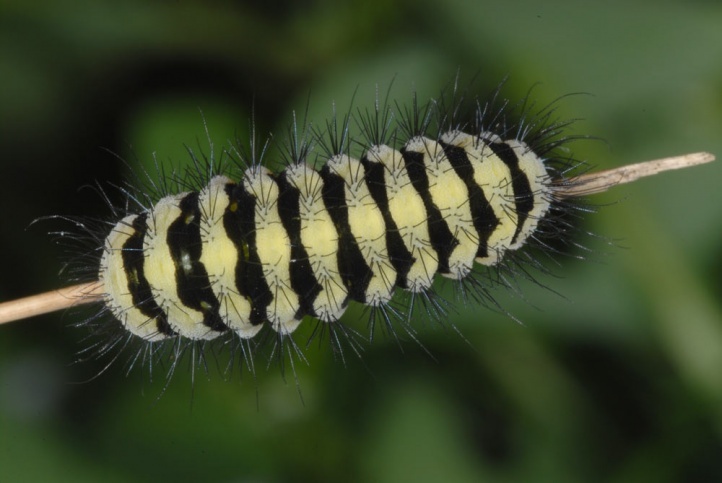 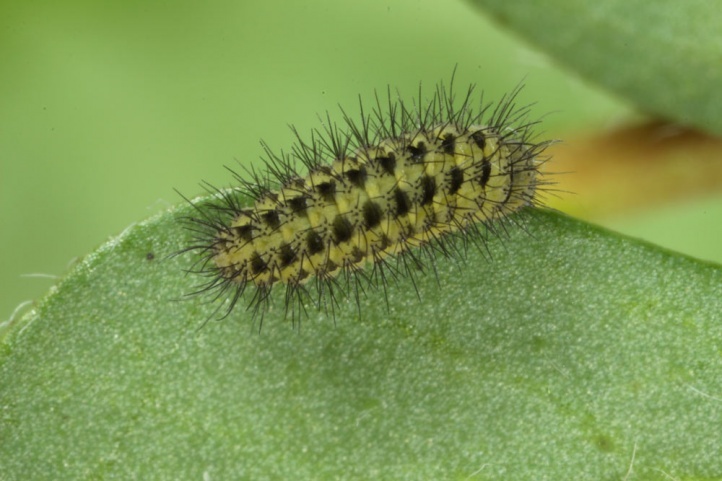 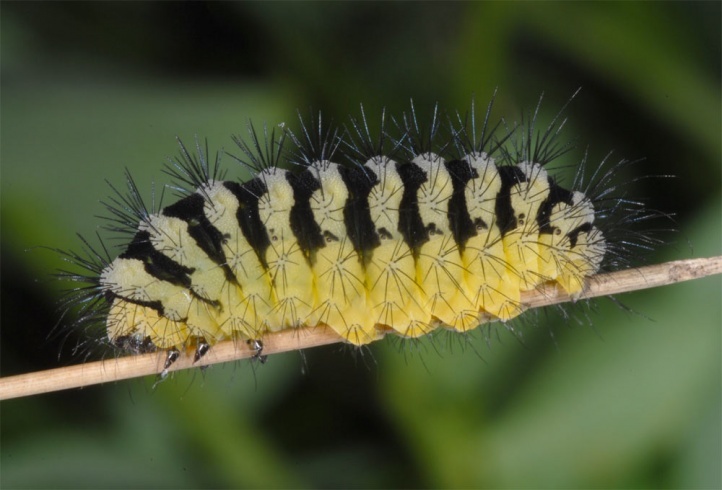 The caterpillars overwinter in the field usually twice: first as a small to 1/3 grown caterpillar, then fully-grown again. 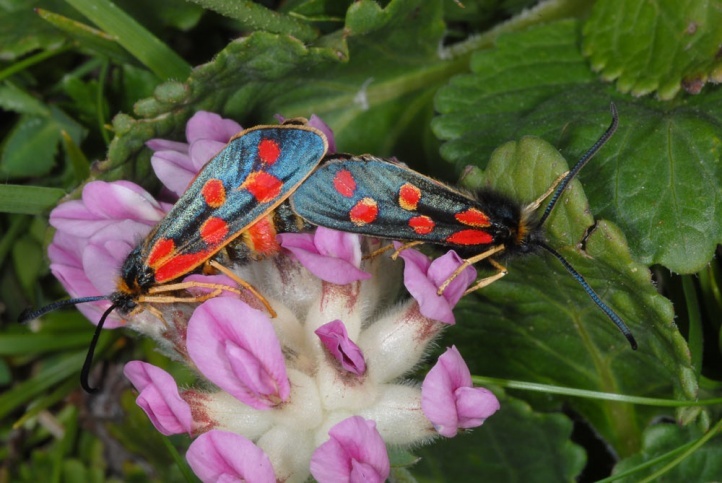 Second wintering thus takes place much further developed than in Zygaena exulans, so that at syntopical occurrence Zygaena anthyllidis always flies earlier. 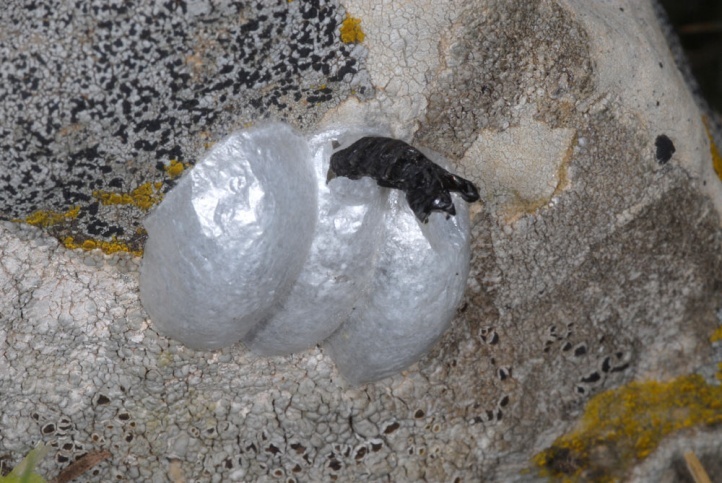 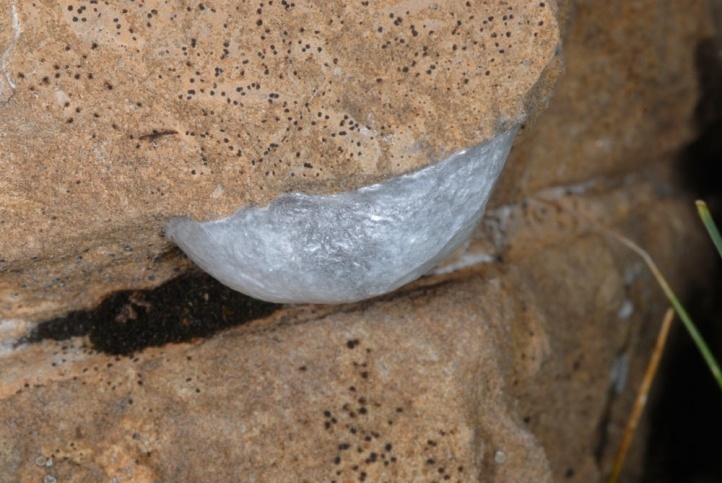 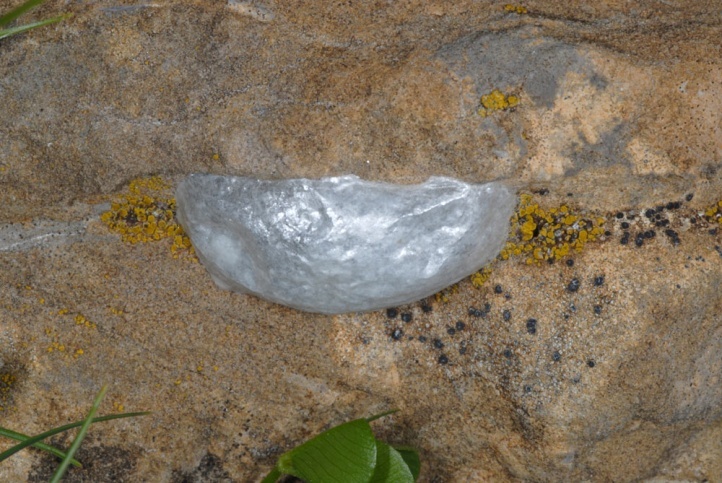 The cocoons are applied to stones or rocks, often in rain protected niches. 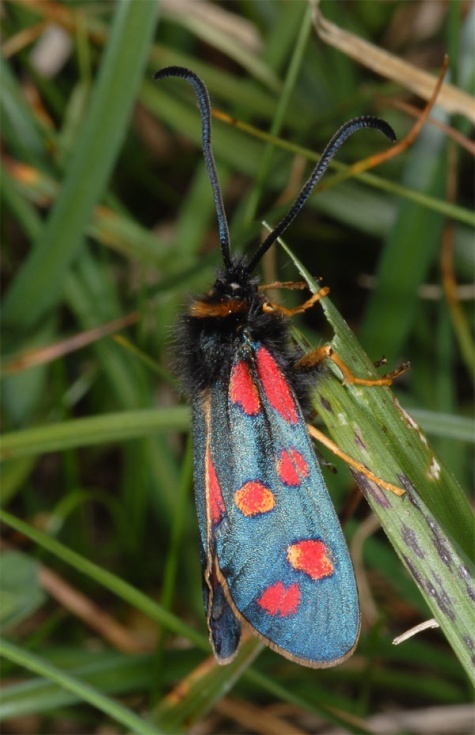 Zygaena anthyllidis is threatened by grazing abandonment and subsequent entanglement of vegetation. 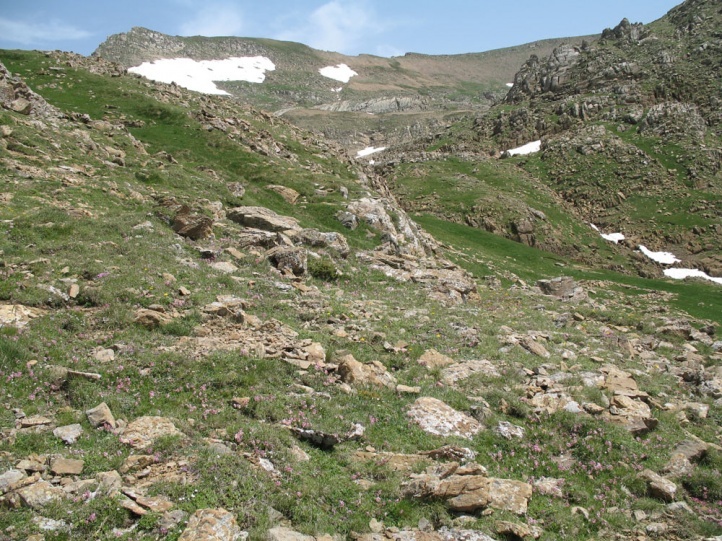 Under such conditions, they can only colonize steep rocky slopes. 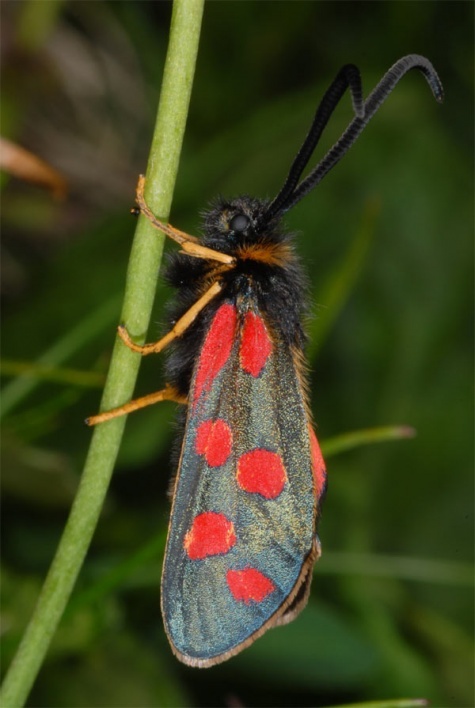 But overgrazing can also contribute to the disappearance of Zygaena anthyllidis. 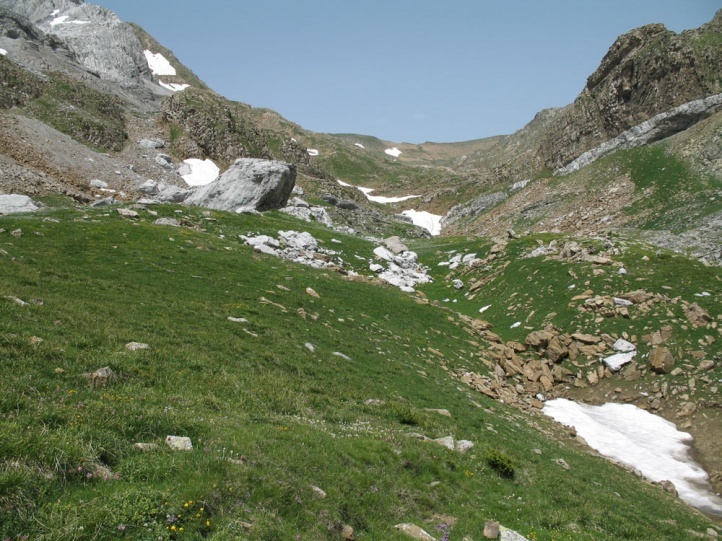 It may thus be grazed only extensively. 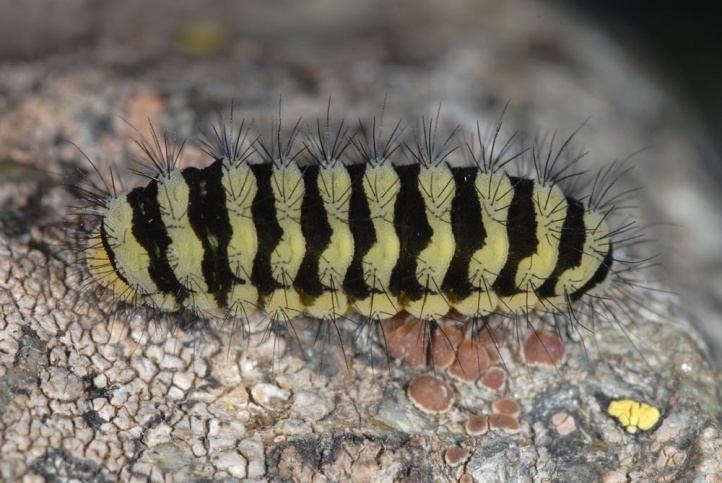 The probably greatest threat in future arises from climate change. 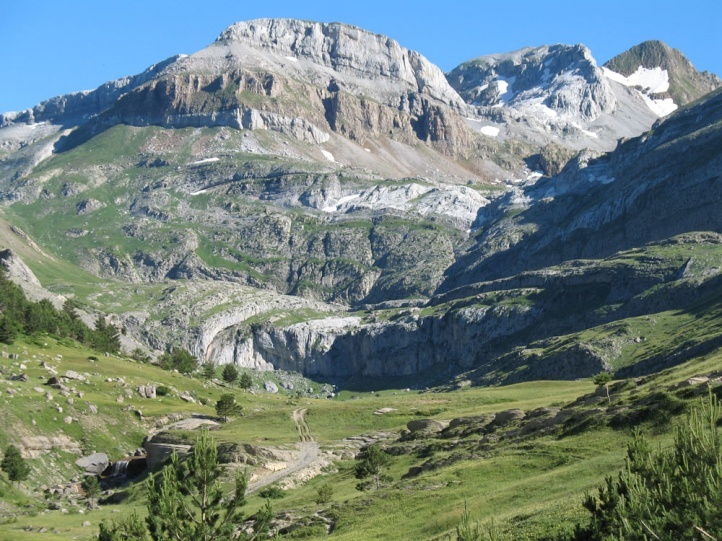 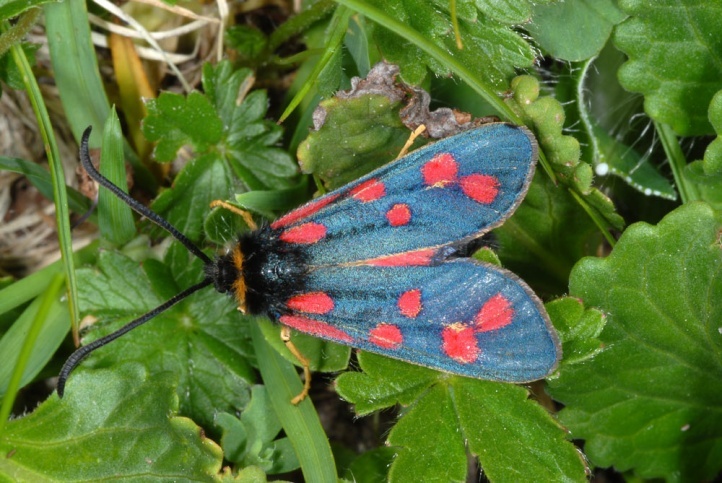 Presumably, Zygaena anthyllidis is pushed back in many places to the highest altitudes and will disappear in less high massifs (about below 2500m asl summit altitude). 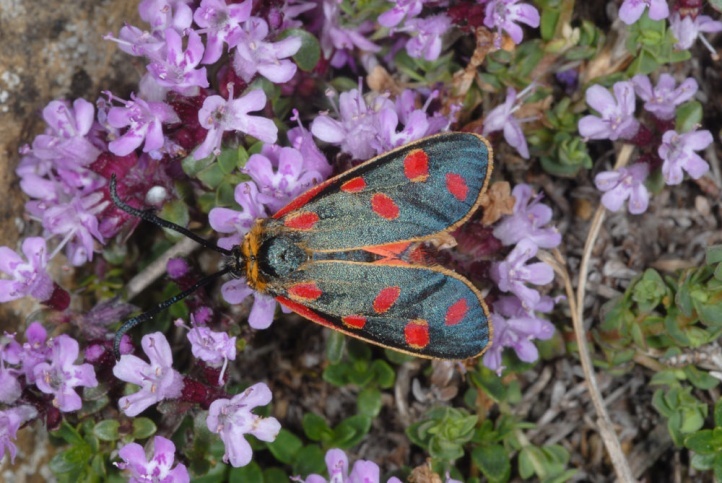 Zygaena anthyllidis is endemic to the high altitudes of the Pyrenees and is found in Spain and France as well as in Andorra.